I love salmon. I know a lot of people don’t like it, but I grew up in northwest Oregon. Salmon is everywhere in that part of Oregon. The town I grew up in now has a yearly salmon festival. How could I not like it? Fresh salmon is my favorite and my mom always cooks some for me when I visit Oregon. However, I now live in Oklahoma, not exactly salmon country. I am always a little skeptical of buying salmon and seafood in middle America. So, I usually buy the salmon that has been frozen and it is pretty good. I also buy canned salmon. Growing up I knew a lot of people that canned their own salmon, so that they could enjoy it all year long. I enjoy canned salmon and it is something that I can easily buy at the store where I live. Now, store canned salmon is not as good as the canned salmon I ate growing up, but it is usually a good option for things salmon burgers and the salmon quiche recipe that I have for you today. Store bought canned salmon is also usually a good price. Especially when you consider how good salmon is for you. My sister makes the best salmon, spinach quiche. It is a favorite in our family. My sisters and I have been making it for years. I love both quiche and salmon and the two together works great. I decided that I wanted to try to make this quiche without the crust. I really was not sure it would work. But I wanted to give it at try. I was glad I tried this because it turned out really well. It was really good and it is healthier because most of the fat is in the crust. So, you do not have to be gluten free to eat this and enjoy it. Cook onion in a little oil until tender and then add garlic and cook for 1 minute. Grease a 9×13 pan. Spread spinach in bottom of pan, then layer salmon on top of spinach, and onion/garlic on top of salmon. Mix together remaining ingredients, you want to mix these well. I did this in my blender but I have a large blender. You may have to do this in two batches or just mix well with a mixer. You want them to be really blended. Pour over spinach and salmon layer. Bake at 350 for 50 minutes or until done. For more recipes and ideas see Frugal Fridays, Grocery Cart Challenge, and Foodie Fridays. This is so serendipitous…I just last night said to my husband that I need to find a recipe for tinned salmon! This recipe looks delicious and so easy too. Thanks so much for sharing it. This is a wonderful recipe!!!! I am making salmon cakes next week, but I am going to rethink that. The list of ingredients makes my mouth water. Thank you so much for sharing this recipe. I’m always looking for new ways to use canned salmon, and that fact that it’s crust-less makes it a contender for busy nights! I do like salmon quiche but have never added the spinach! Great minds think alike — I did a quiche this week too! This sounds soo good!! I love quiche and salmon and spinach so I think I will try this. That move must have been an enormous change for you. I’ve been to the festival of which you speak. We travel to the Oregon coast several times a month and have enjoyed the Tsalila in Reedsport many times. This looks so good! I love quiches but never thought to put salmon in it, Thanks for the idea =D. Thanks. I had Salmon Patties on the menu for next week. Going to have to switch it to this! I love salmon and in a quiche this sounds and looks wonderful. Okay, that’s just weird – I ended up being too busy to post on Friday, but I was going to post a salmon-spinach quiche that we had for Thursday dinner! It’s quite different from your recipe, but it’s still a salmon-spinach quiche. Weird, huh? 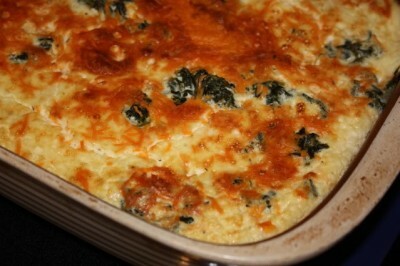 I have a recipe that is very similar to this, I never thought to put spinach in it, I’m going to try that next time. I live in NW Oregon and my dad is a commercial fisherman and my husband loves to salmon fish so we have the “problem” of having more salmon than we can eat! You can never have too much salmon! 😉 I grew up in far NW Oregon, about 1 hour from the coast and I miss all the salmon. Every time I go back to visit I try to have salmon. It is so good. Salmon and all the fresh berries during the summer are two things I really miss.